Of the six official red grapes of Bordeaux, the one that we not often see standing on its is the bold and burly Petit Verdot. 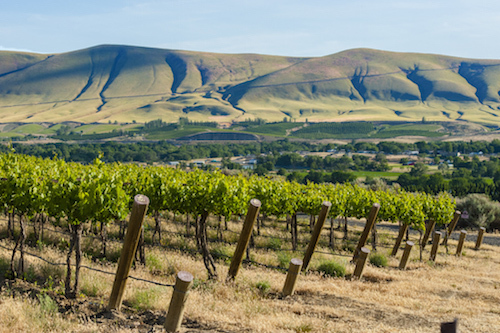 Wine lovers, particularly those in Washington state, are delighted to see a growing interest in this rare variety. Little more than 1,000 tons are harvested each fall in Washington, and much of that ends up in Bordeaux and Meritage-style blends. Fortunately, a few winemakers hold back enough to bottle separately, often resulting in spectacular wines. If you’re a lover of big, bold reds, such as broad-shouldered Cabs or the bigger Petite Sirah or the rarer Tannat, they will find a wine to love with Petit Verdot. In addition to their signature big structure, Petit Verdot often will exhibit notes of ripe plum, blackberry, violet and dark chocolate and cocoa powder. 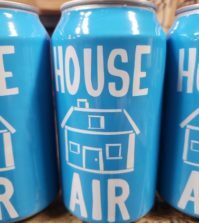 It pairs well with braised or barbecued meats and spicy Latin American dishes. Logic would dictate that balanced examples should age well, becoming more interesting after a few years tucked away in a dark, cool cellar. Here are several examples of Petit Verdot grown in Washington state we’ve tasted recently. Ask for them at your favorite wine merchant or contact the wineries directly. 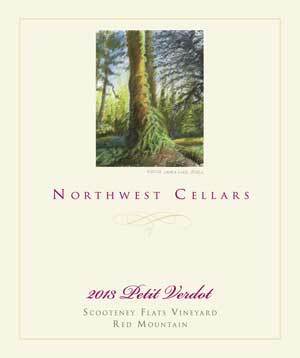 Rising SoDo vintner Tom Stangeland makes a bold move in this Petit Verdot that includes a nice burst of Merlot (10%). The aromas are brooding and dark, showing off deep blackberry, date, raisin and smoky plum. The palate delivers on the expectations of tannin at the onset, leading to a strong backbone to the lush dark fruit. 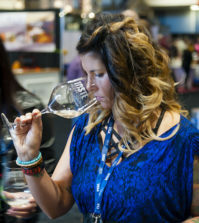 Stangeland’s program received four gold medals at the sixth annual Cascadia International Wine Competition, with this work receiving a unanimous double gold medal. This winery in Lincolnville, Maine, used Washington-grown fruit and its winemaker, Aaron Peet, is a graduate of the Walla Walla Community College wine program. His PV opens with aromas of mocha, herbs, blackberries and blueberries, then replays them on its lush palate, adding a hint of chocolate and spice, then finishing with nice acidity and smooth tannins. This received a double gold medal at the 2018 Cascadia International Wine Competition. Attorney-led Barrister Winery in Spokane produced this standout. Smoky aromas of dark plum, cherry pipe tobacco, espresso, and raisins mingle on the racy palate as blackberry and pepper keeps this Petit Verdot bright and exciting. This 2014 vintage is showing bright and fresh, but with a maturity in body that one would expect from Dionysus fruit. This won a rare double gold and earned best of class at the sixth annual Cascadia International Wine Competition and later was awarded the honor of Best Red Wine at Purdue University’s 2018 Indy International Wine Competition. 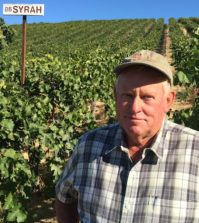 Pat Dineen and the Rawn brothers grow grapes for more than 30 wineries in Washington, and their higher-elevation site in the Rattlesnake Hills above the Yakima Valley produces a sturdy snapshot of this lesser-known Bordeaux red. Tim Armstrong tailors this to be massive, cellar-worthy and compelling. There’s a large whiff of coffee and dark toast with blue fruit and squid ink. Inside, its drinking profile of pie cherry, pomegranate and ripe plum comes with sturdy tannins, a wealth of acidity and sweet herbs. Totem Lake vintner Robert Delf has been producing standalone bottlings of this lesser-known Bordeaux for nearly a decade, shifting his focus recently from the Horse Heaven Hills to Red Mountain. 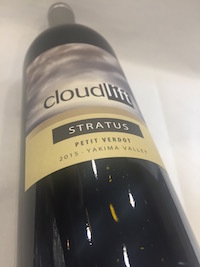 This is a slightly lighter style of Petit Verdot, bringing aromas and flavors of Chukar Cherry, blackberry, Dr Pepper and mulling spices with restrained tannins and a finish of Montmorency cherry and sweet dill. Suggested pairings feature dense dishes such as pork with a plum or cherry sauce, Beef Bourguignon, Italian dishes with rich tomato sauces or dark chocolate. 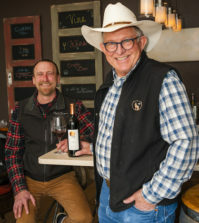 More winemakers in Washington state are helping to bring this lesser-known red Bordeaux variety out of the shadows, and Joe Grant of tiny Grantwood Winery in Walla Walla is among those. This wine represents two barrels of Petit Verdot from stately Les Collines Vineyard in the foothills of the Blue Mountains, and it offers big shoulders with dense notes of plum, black cherry and blackberry, backed by a dusting of cocoa powder. 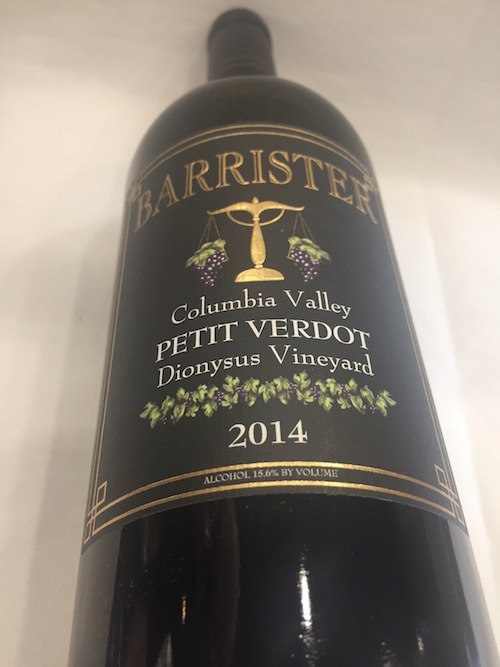 This spring, Barrister Winery in Spokane used a Petit Verdot from historic Dionysus Vineyard along the Columbia River to win the title of best red wine at the Indy International Wine Competition on the campus of Purdue University. 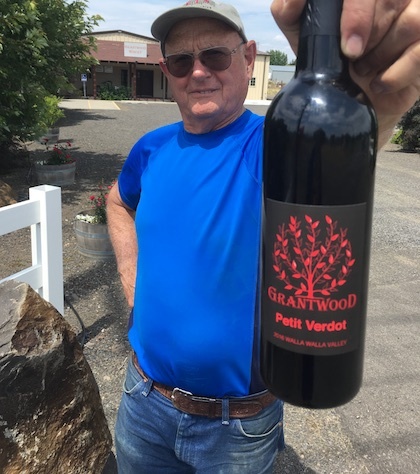 And earlier this month, Grantwood took best of show at the 2018 Walla Walla Valley Wine Competition with his Petit Verdot, a competition staged at Walla Walla Community College that serves as a scholarship fundraiser for College Cellars students. 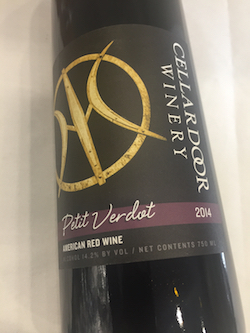 Love Petit Verdot on it’s own – Road 13 up here in Canada makes a stellar version also.